FBA-25A: Vertex brand OEM Battery Case for Yaesu & Vertex Standard radios. Holds 6 x AA alkaline cells.Fits VX-110,VX-120,VX-127,VX-150,VX-160,VX-170,VX-177,VX-180,VX-210A,VX-400,VX-800,VXA-150,VXA-210,VXA-300,FT-60R,FT-250,FT-270, FT-277,FT-230,etc. 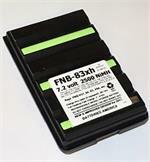 FNB-72h: 9.6volt 1800mAh rechargeable Ni-MH battery for Yaesu FT-817 backpacker radio. Value-priced; replaces FNB-72, FNB-85. 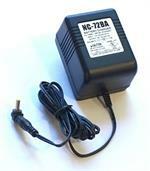 Charges thru radio with NC-72, PA-48B, OR charges externally with our WC-72 wall charger. MADE IN USA. FNB-V94: 7.2 volt 1800mAh rechargeable long-life Ni-MH battery. Replaces FNB-V57, FNB-64, FNB-83, FNB-V94, etc. Fits Yaesu, Vertex, and Standard Horizon radios (Amateur, Commercial, Business, Police, Fire Dept, Military, & Aviation bands). FNB-55: 7.2 volt 1650mAh LONG LIFE rechargeable Ni-MH battery for Yaesu-Vertex VX300 radios. 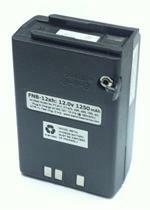 FNB-83 : 7.2 volt 1100mAh rechargeable Ni-Cd battery for Yaesu & Vertex radios. Replaces FNB-64, FNB-V57, FNB-83, etc. Recharges thru the radio (if so equipped), or in a desktop drop-in charger. Se x-ref radio list for fit compatability. 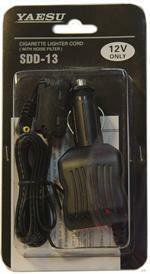 FNB-41: 9.6 volt 700mAh rechargeable Ni-Cd battery for Yaesu & Vertex radios. Replaces original FNB-41. Includes Belt Clip. FBA-21 : AA Battery Case for Vertex and Yaesu radios. Fits VXA-100, FT-10, FT-40, FT-50R, VX-10, etc. FBA-21 : Yaesu-Vertex brand 6-cell AA battery case. Fits FT-10R, FT-40R, FT-50R; VX10, VXA-100, Aviator Pilot, Aviator Pro radios, etc. Provides handy instant high-watt power when loaded with 6 x Alkaline AA cells (batteries sold separately). 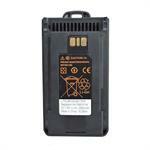 FNB-V96Li : 7.4v 2000mAh rechargeable Li-ION battery for Vertex VX350, VX351, VX354. FNB-V134: 7.4 volt 2200mAh Li-ION battery for Vertex Standard. Compatible with EVX261, EVX531, EVX534, EVX539, VX261, VX264, VX451, VX454, VX459, VX260, VX264, VX450, VX456 etc. Replaces FNB-V134, FNB-V134Li. 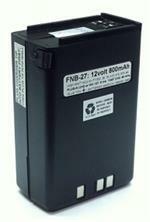 The FNB-47xh is a 7.2v 2200mAh rechargeable long life NiMH battery pack for Yaesu & Vertex radios. NEW HIGHER CAPACITY! Fits the FT-50R, FT-40R, FT-10R, VX-10, etc. Provides medium-Watt TX with LONGEST OPERATING TIME. Includes Spring Belt Clip. 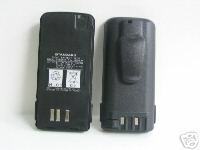 FNB-21: 9.6 volt 1650mAh LONG LIFE rechargeable Ni-MH battery for Yaesu-Vertex FTH2009, FTH7009, VX200 handheld radios. Fits the VX-200 also. Re-charges with plug-in slow charger or desktop fast charger. 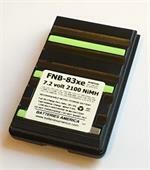 FNB-45 is a 9.6 volt 1650mAh LONG LIFE rechargeable Ni-MH battery for Yaesu-Vertex VX-200, FTH-2009, and FTH-7009. Re-charges with plug-in slow Wall Charger or desktop Rapid Charger. 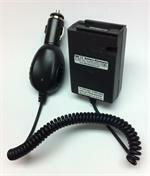 The FNB-68Li is a 7.4 volt 2600mAh LONG LIFE rechargeable Li-ION battery for Vertex VX600 and VX900 radios. FNB-83xe: 7.2 volt 2100mAh rechargeable NiMH battery for Yaesu/Vertex. Made with low-self-discharge cells. Arrives PRE-CHARGED & READY TO USE! Retain charge up to a year when not in use! Replaces FNB-V57, FNB-64, FNB-83, FNB-V94, etc. 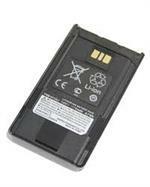 FNB-V113Li : 7.4 volt 2500mAh Li-ION battery for Vertex VX450, VX451, VX454, and VX459 radios. Includes heavy-duty spring-loaded belt clip.